Step back in time in this HB Wolff mid-century modern in the unique and prized Lynwood neighborhood. With modern amenities like stainless appliances, including a gas stove, this home has the best of both worlds PLUS a guest house/rental/possible Air BNB/Home Office or space for adult parents or children. Also unique to this property is a large storage/workshop area that could be converted into a gardener's paradise, party shack or (s)he shed. 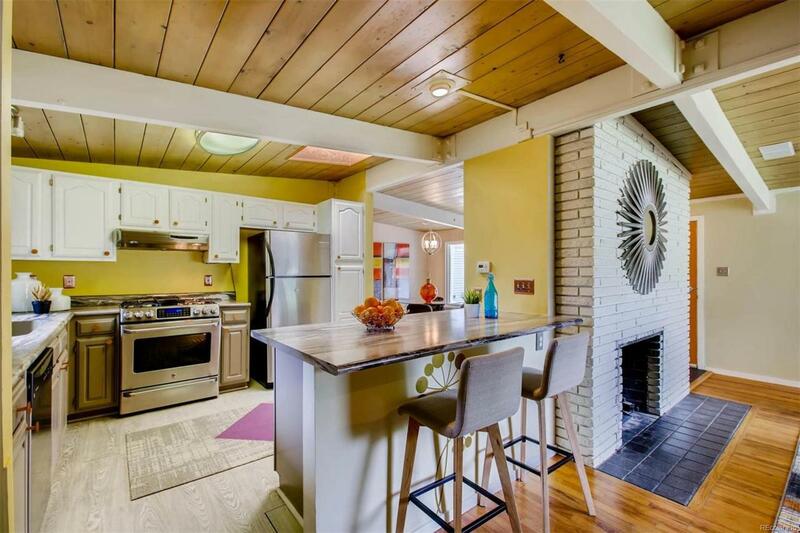 Beam & birch ceiling slats throughout the house/guest house, brick fireplace, refinished original wood floors, along with the refinished retro shared bath/laundry in the main house keeps the mid-century character alive. Master bath is tastefully and comfortably refinished with a custom glass sink and vanity and deep tub. The large and inviting fully landscaped yard with lilac bushes provides privacy, including a deck area and plenty of grass to play croquet or lawn darts while hosting your annual summer party! Hurry! This treasure won't last long!